FFA - CAIR calls for probe of Southwest Airlines after Muslim passenger was removed during safety protocol. Thankful for Southwest Airlines protocol for passenger safety. An advocacy group is calling for an investigation after a Muslim woman from Maryland said she was removed Wednesday from a Southwest Airlines flight "without any credible explanation." Zainab Chaudry, an official with the Council on American-Islamic Relations, said the Takoma Park resident had boarded a Seattle-bound aircraft in Chicago when airline employees told her she would not be permitted to take the flight. The woman, who is of Somalian descent and was wearing a hijab, or headscarf, was escorted to the ticket counter, where she waited three hours for a connecting flight, said Chaudry, who described the experience as humiliating for the woman. Earlier, the woman was on a flight from Reagan Airport in Washington to Chicago when she asked the passenger beside her if he would switch seats with her so she could have a window seat, Chaudry said. She told CAIR officials the man agreed and was about to make the change when a flight attendant intervened, telling both they would not be allowed to move, according to Chaudry. Southwest did not respond to calls seeking comment. CAIR also called Southwest Airlines for an explanation Wednesday but got no response and received no response to a follow-up letter Thursday, Chaudry said. CAIR called Southwest Airlines for an explanation Wednesday but got no response and received no response to a follow-up letter Thursday, Chaudry said. “We don’t know for sure whether this was a case of religious bias, but because we have received no credible explanation, we’re going public,” she said. 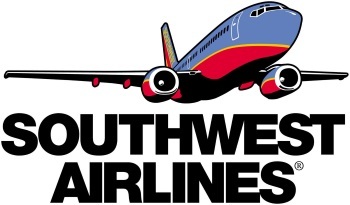 CAIR has called a news conference with the woman at its Washington, D.C. headquarters for Friday morning to "make sure Southwest does its due diligence," Chaudry said..
Ironically, Southwest Airlines IS performing due diligence but for the public safety of passengers. Florida Family Association has prepared an email for you to send to thank Southwest Airlines for exercising due diligence for passenger safety.